King of the jungle and now the desert! This proud lion is part of the great circle of life in the Sandtail Desert: Mouse is born, mouse finds cheese, mouse is bathed in the bright Beams of Judgement emanating from the statue's eyes, mouse is born anew. 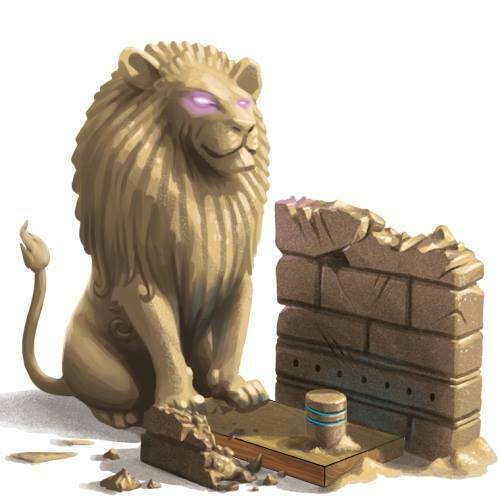 Sculpted from the rare clay found deep underneath the Living Garden, this Lion Sphynx of Life has one main goal: To protect the pride of Gnawnia. This is a custom trap skin for the Sphynx Wrath. 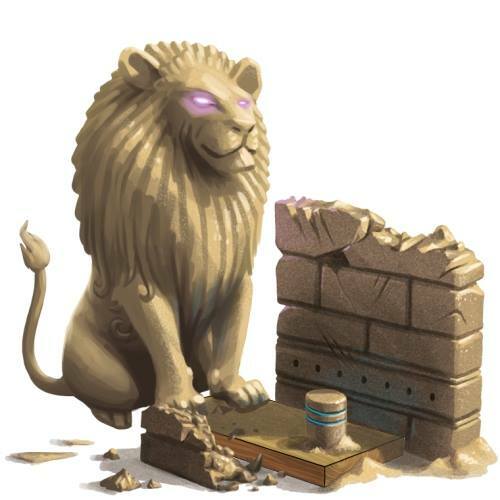 The Lion Sphynx of Life Skin can be used on the Sphynx Wrath. The weapon's stats (power, power bonus, attraction bonus, etc.) are not changed. The Lion Sphynx of Life Skin can be purchased from the King's Arms Trapsmith or King's Cart in exchange for 150 King's Credits. The Lion Sphynx of Life Skin cannot be traded on the Marketplace or through Give To Friends. 25 November 2013: The Lion Sphynx of Life Skin was introduced on during King's Giveaway (2013). On release, the lion appeared to be floating off the ground. This was corrected shortly after. This page was last edited on 24 January 2018, at 13:41.